Jenna Rose: All the updates! Wow, I have so much to tell you guys about! 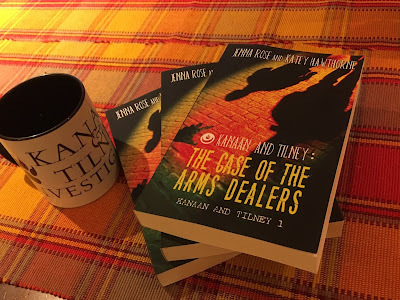 First and second off, Kanaan & Tilney: The Case of the Arms Dealers is officially out! 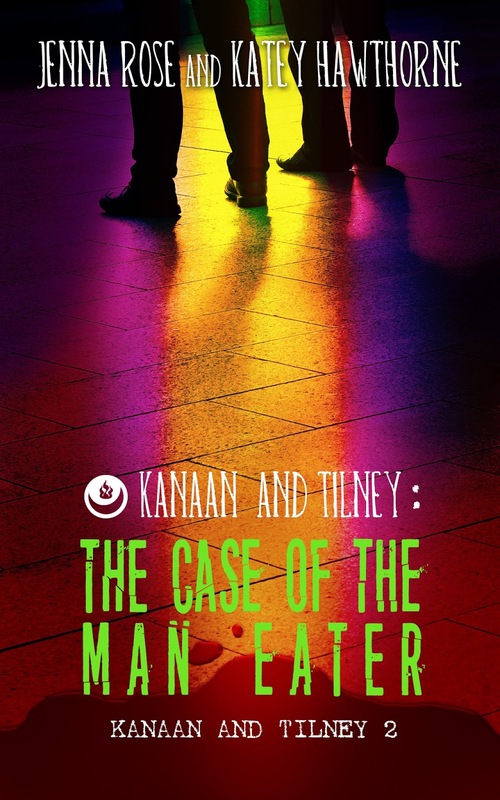 And, in addition to ebook, you can get this bad boy in paperback! LOOK AT IT OMG! It's even prettier in person! I can't even begin to say how I am or how lucky I feel to be able to hold a book that I wrote in my hands. If past!Jenna could only see me now! Lastly, Kanaan & Tilney: The Case of the Maneater comes out on Wednesday, March 27th, and I now have a cover for it that I can share with you! Check it out below, and don't forget to pre-order it! New cover and release date news!